Meet Kurt Wilson, a health drink entrepreneur and celebrity health guru, who also starred on the ninth series of The Apprentice. Kurt was shortlisted along with other business-savvy individuals to take part in Lord Alan Sugar's BBC One show in 2013. The series was won by Dr Leah Totton, but the show gave Kurt the stepping stone he needed to expand his business. In 2012, Kurt and his brother Jay founded healthy eating brand Fuel Station after finding there was "nowhere to go to get a proper healthy lunch". 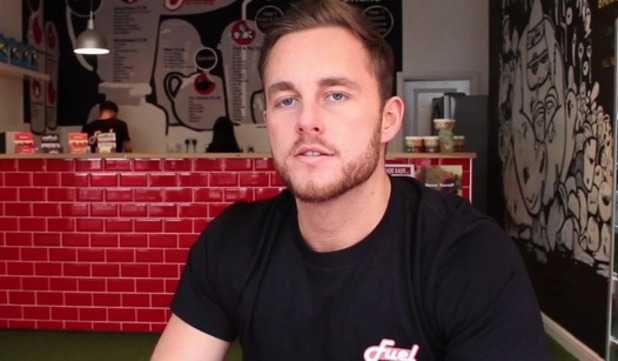 Last year, the brothers launched Fuel Station Kitchen - Liverpool's first fitness-based eatery - which specialises in a range of meals, snacks and shakes to help people meet their health and fitness targets. How do you think staring on The Apprentice helped you to develop your business? It was a bit of a door opener and a bit of a confidence booster. It gets a little bit easier now. Instead of me having to introduce myself as a business, people have already got a bit of an understanding of it, and I suppose The Apprentice puts you through such rigmarole, you're not really scared about anything anymore. I've already made an idiot out of myself on national television, so I'm not really worried about going into a room with people and making an idiot out of myself! Kurt on The Apprentice in 2013. What did you learn most from the show? I would say just to really go for it and give everything 100%. Like any business, it could go two ways and at any point it could disappear, but at the same time it could be something brilliant. I just had to put my head down and go for it. Since launching Fuel Station, have you found there to be a huge demand for healthy eating alternatives? It's increasing all the time. Three years ago we would have to educate people, but in the last couple of years we have noticed a massive change. I think it's quite 'in' at the moment to be fit and be healthy. Now, people are coming to us rather than us having to go to them. There has definitely been a massive increase in the last two years. Your client list includes Michelle Keegan, how has Fuel Station helped to transform her diet? Well, we make everything easy for them. The most important thing is, if you're trying to change your body by losing weight or gaining muscle, or whether you've got a wedding in sight or you've got a holiday, the most important part is eating the right food at the right time. It's 70% nutrition and 30% exercise. At Fuel Station we take the complication out of having to measure and prep your own food. You tell us what you like and then we provide it for you. We just make it easy, nutrition is most important, as well as exercise. What other celebrity clients do you have? We've got quite a few at the moment, Holly Hagan from Geordie Shore, Alex Gerrard, a fewHollyoaks girls and some footballers too. How often do your clients have these meal plans? It's a continuous thing, and you notice a difference the longer you do it, but the most important thing is that you're eating well. Michelle was doing it for three months and Alex Gerrard was doing it for about two months. We sent Alex some juice just recently. What meal options would you recommend for someone who wants to increase their stamina? Definitely protein pancakes for breakfast. Instead of using flour you use oats because it's perfect for performance - its slow release of energy will keep your energy levels sustained throughout the morning. And, of course, the protein is really important for endurance. For lunch, you want something that's got a good carbohydrate, so beef noodle salad will work well. Swap the white noodles for brown whole-wheat noodles. For more information, please visit: www.fuel-station.co.uk.